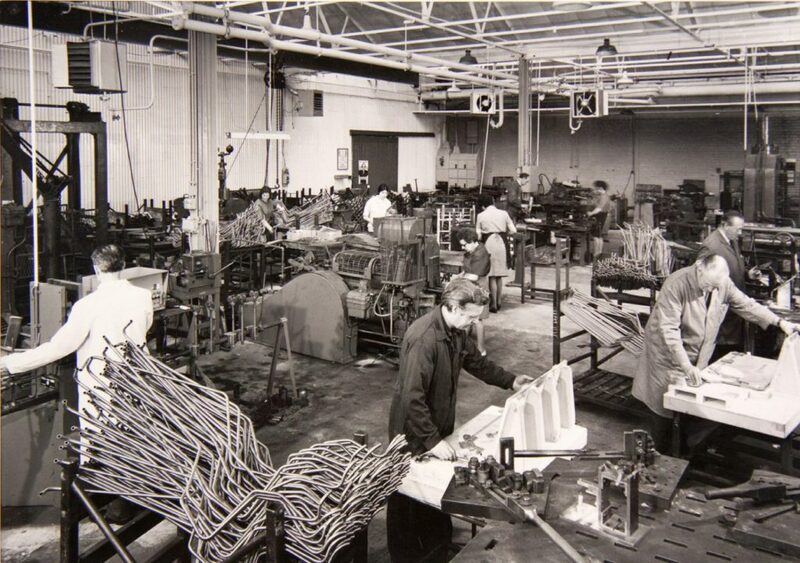 Practical Equipment Ltd (Pel) was set up as a subsidiary company of Tube Investments, who were looking for new applications of their tubing. TI had already acquired Accles & Pollock, and they maintained a close relationship in the early years, sharing their expertise. 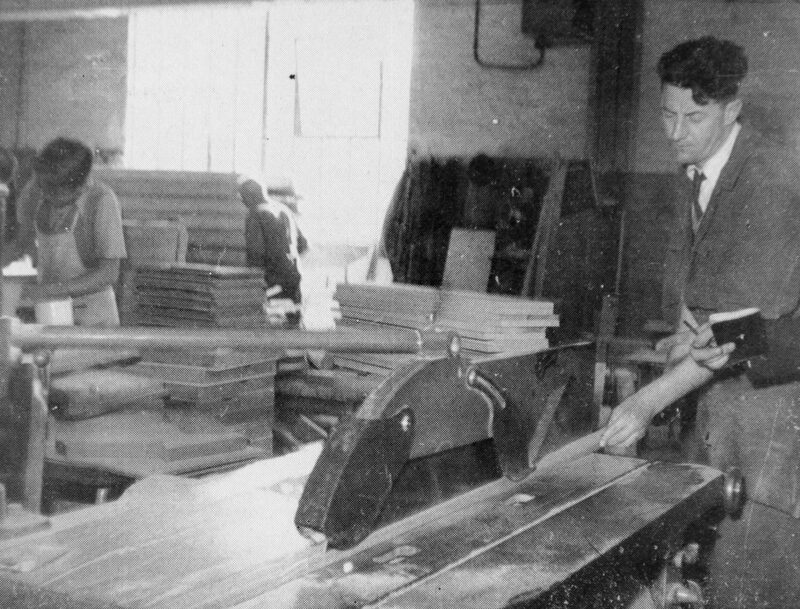 They were particularly known for the production of stacking chairs, familiar to Britons in schools, hospitals, church halls and businesses. 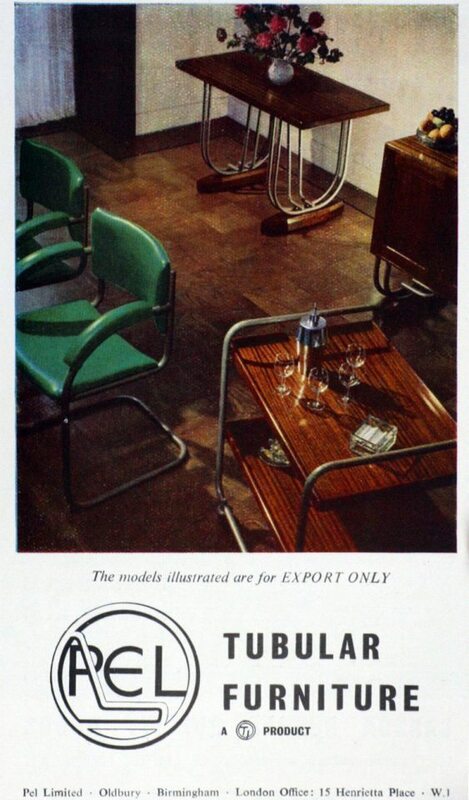 Their most popular was constructed of a tubular bent steel frame, painted in various colours with a plywood seat and backrest pot riveted onto the frame. 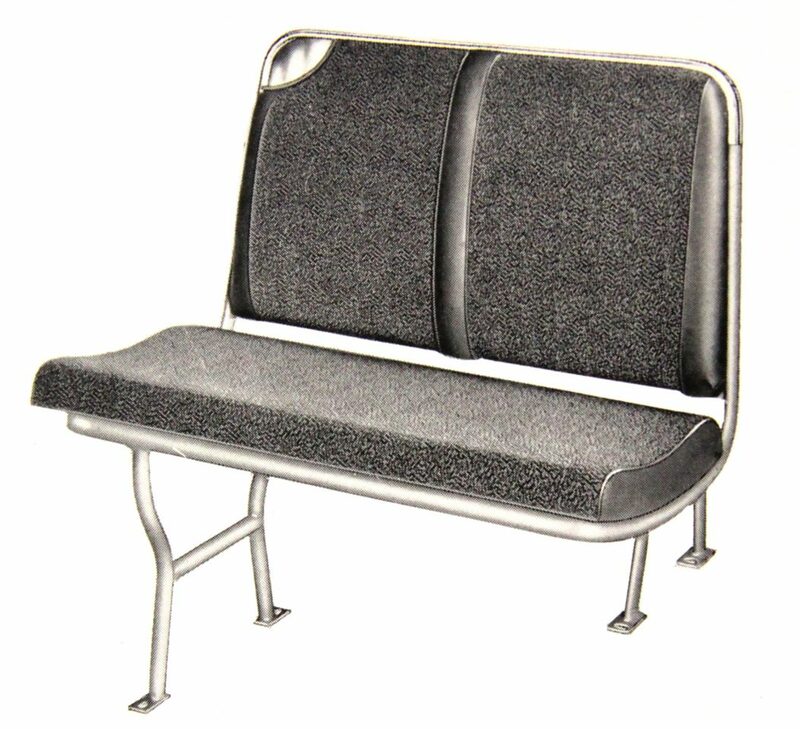 Their earliest design was of tubular steel and canvas seat and back rest, designed in 1931. The canvas seat made the chair fairly light and easy to move and stack. 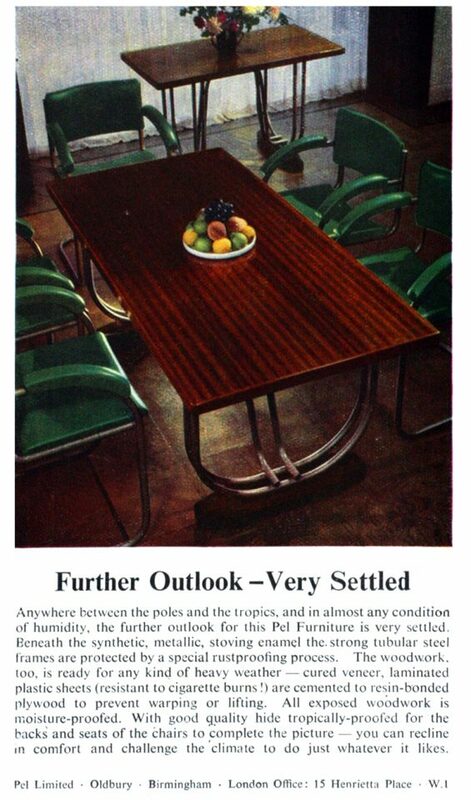 At the outset, their furniture made inroads to more upmarket clients. 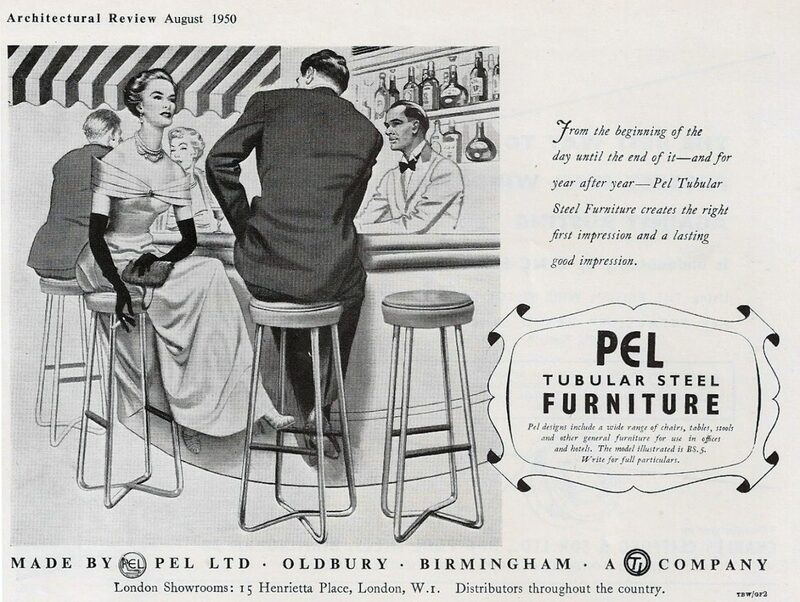 Pel furniture was being sold by Harrods and Heals in the capital. They also supplied BBC Broadcasting House, the Wells Coates’ luxury flat development at Brighton and the De La Warr Pavilion at Bexill-on-Sea, and hotels such as the Savoy and Claridge’s in London and the Metropole in Brighton. 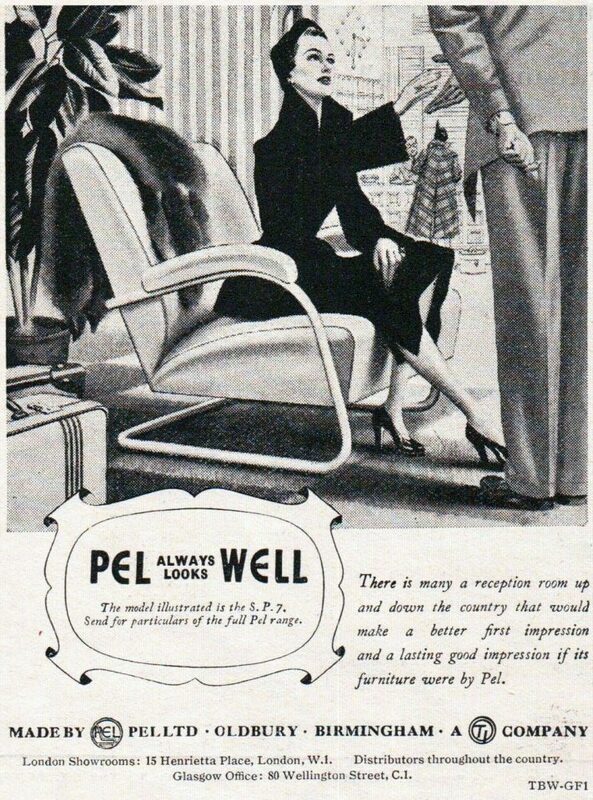 As the posh market petered out with competition from furniture from Finland, Pel moved into the more functional market of the mass-produced stacking chairs. 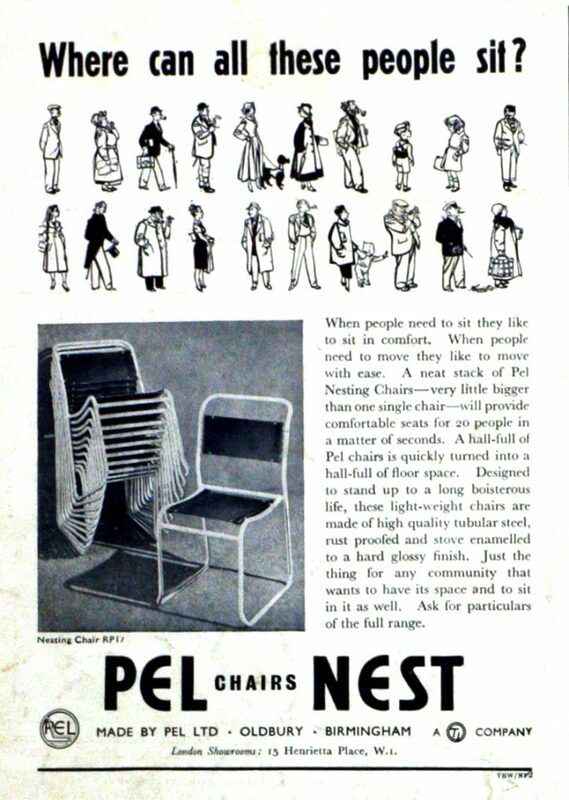 the functionalist practicality of their mass-produced stacking chairs. 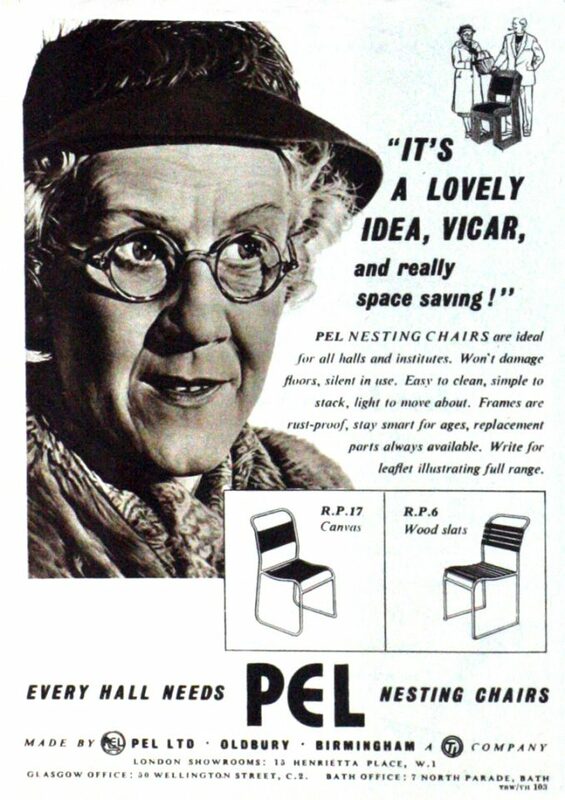 During World War Two, they supplied the Ministry of Defence and the Admiralty with canvas stacking chairs, and their range expanded to include office furniture and interiors for ships and railway carriages. A new type of circular saw guard is tried out in Pel carpenters’ workshop. The spring-loaded ends keep the blade entirely covered. 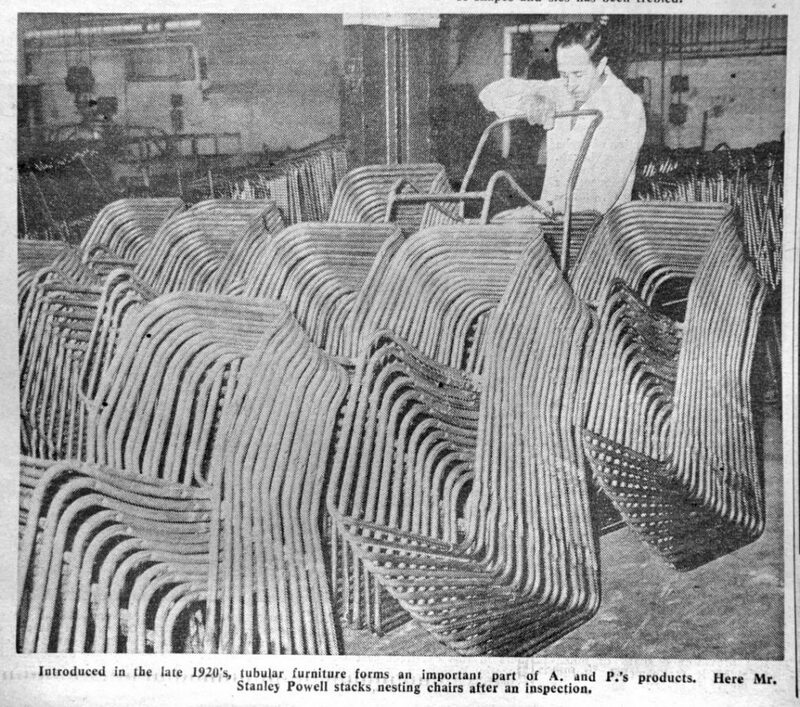 As with much of British industry, the years post 1945 proved difficult, as local manufacturing adjusted from their war-time production. Apart from the shortage of raw materials (steel, softwoods, plywood, jute), the banning of non-ferous metals in the form of brass, zinc, copper in the production of furniture, and restrictions on the use of nickel and nickel anodes in the plating of furniture affected the business. 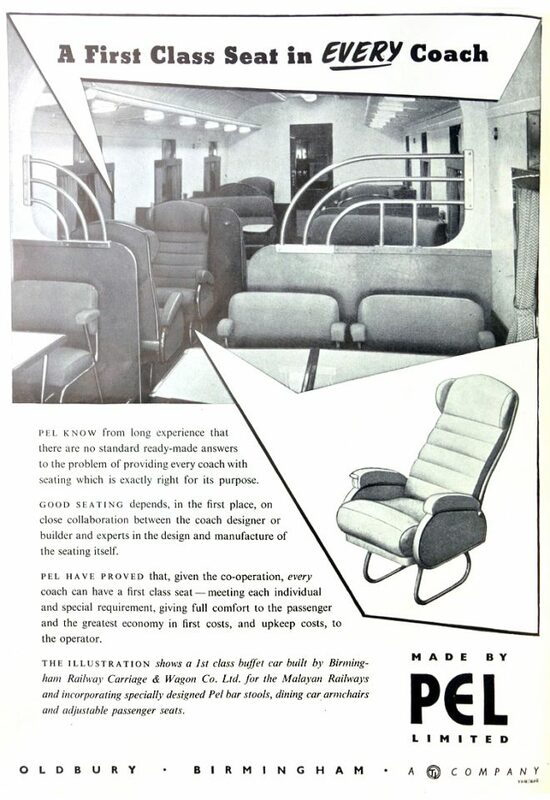 There were less restrictions placed on production for export, and Pel had orders from customers such as New Zealand State Railways to see them through some difficult years. The site of the factory is remembered by a street named Pel Crescent. Much of the site is today taken by a modern industrial trading estate, Samsons.